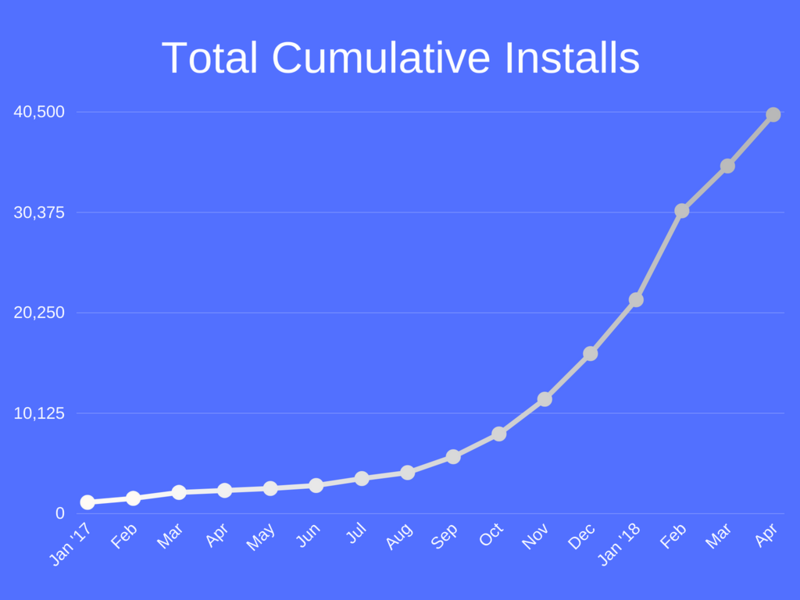 April has been very active for all startups who build their business on Facebook, Messenger or Instagram. On March 27th, Facebook announced that they temporary pause app reviews and new experiences on the Messenger platform. This affected Recart as well as we couldn’t connect new merchants to our Messenger bot. On 1st May, Mark Zuckerberg announced the re-opening of the Facebook Platform, so we’re finally back on track, all our features are available to new users. Although the pause decreased our subscriber growth in April, we expect to make up for that in May. Also, we faced many exciting challenges in April. First of all, we realized that the key to a fast-moving organization is the clear mission and vision. We need to get everyone on the same page, but right now we don’t have a page to be on. In May, we’ll work hard to create clear company mission and product vision statements to help all our teams moving in the same direction. Additionally, we found that most of the product development processes are broken. They’re outdated and don’t help our engineers to see precisely what the current task is about. While we keep scaling our teams rapidly, we are going to take care of these two key issues in May. 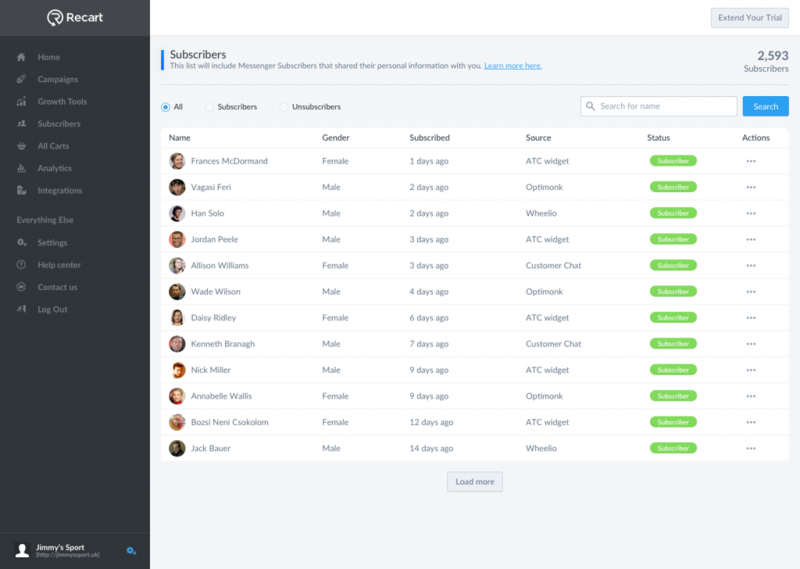 We rolled out one of the most required features in our pipeline, the Subscriber page. It helps our merchants learn more about their Messenger subscribers and do tasks like send a message or unsubscribe a person from the Messenger notifications. Everyone likes a warm welcome, and engaging your new subscribers is especially important for your Facebook Messenger Campaigns. For that reason, we added an easy way to say hello to new Messenger subscribers, and start a conversation with them immediately. 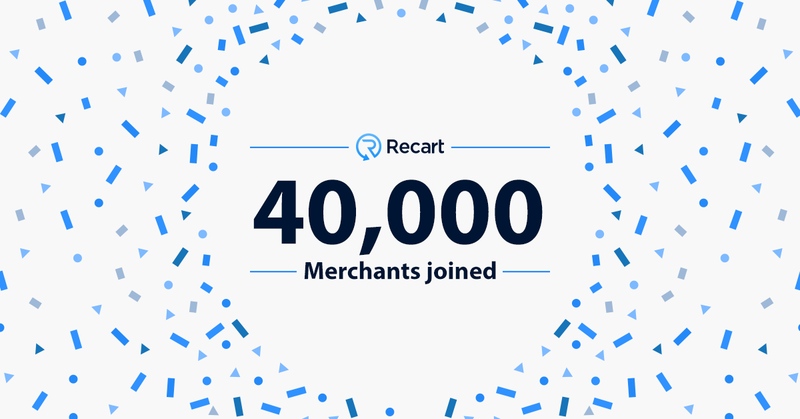 Recart merchants can also use the Welcome Campaigns to send discount codes or set up an automated welcome message for Customer Chat. 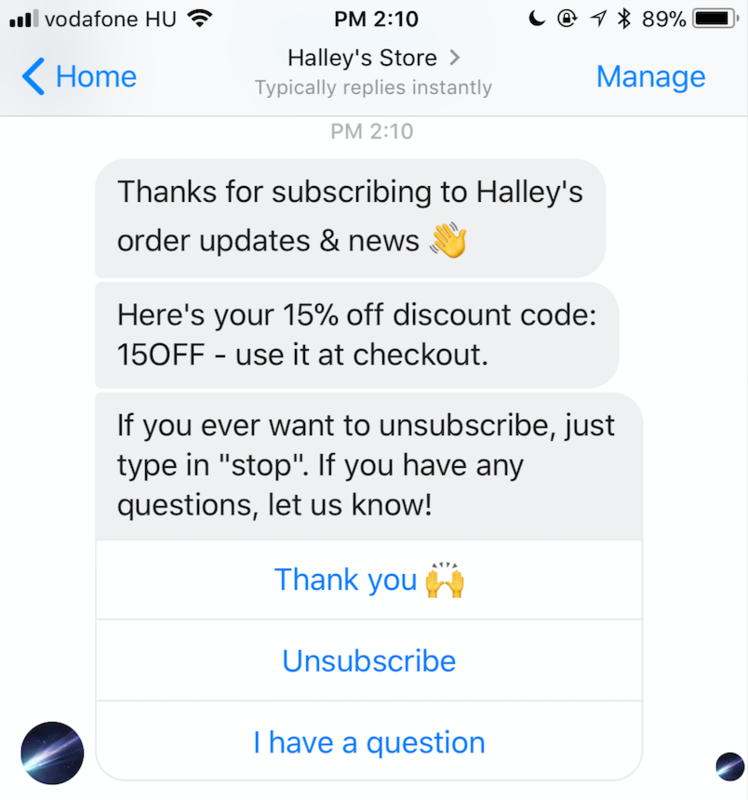 The Welcome Campaigns is a huge step towards a better user experience by notifying customers about the Messenger subscription, giving them info about the messages they’re about to receive and showing a clear way to unsubscribe. 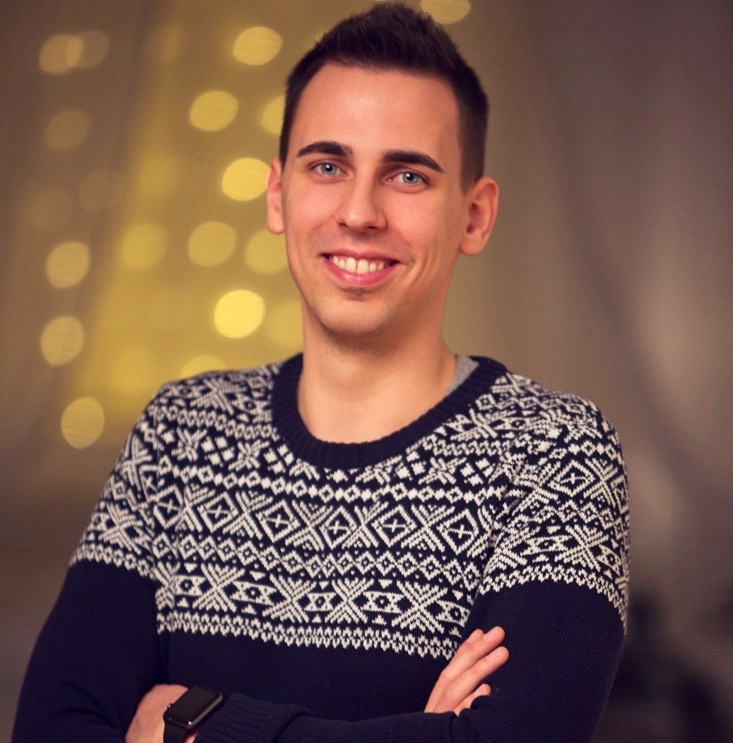 My co-founder, Peter brought our very first marketing person on board – welcome Adam! We’re excited to tap into the paid acquisition channels. We’re also optimistic since Peter spent his past six years in the PPC business, running successful Facebook and Google Campaigns. 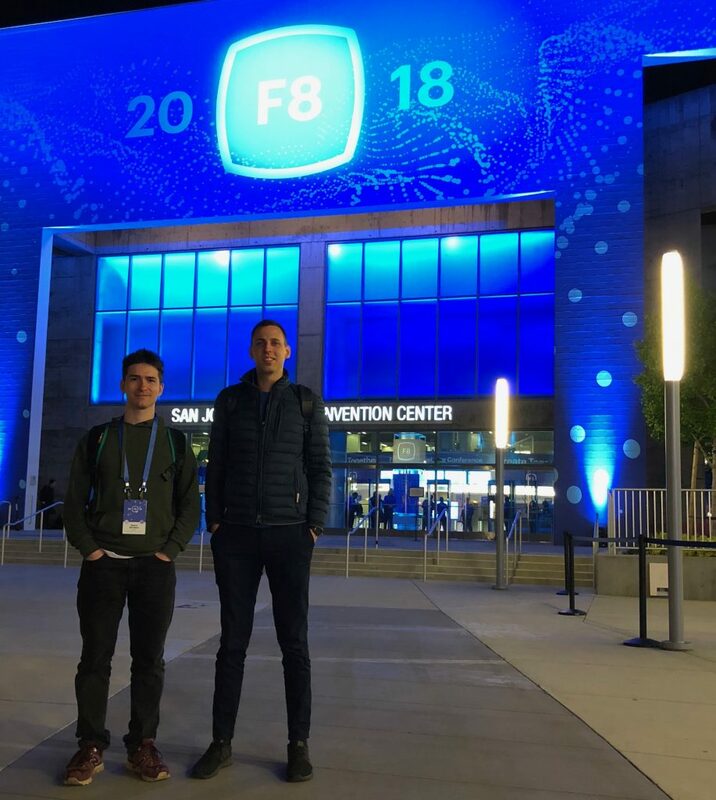 It’s essential to invest in trips like Facebook’s developer conference. This time spent with the Messenger team is invaluable to our business. In person, it’s a lot easier to make sure that our long-term goals are aligned. This means we’re raising $2.5-3m in convertible notes by the end of July. We are not just looking for any source of funding, we want to bring smart money into the company. If you know anyone who’d be interested, shoot me a message! We have open Senior Dev, Front-end Dev, and Customer Success Hero, Content Marketer and Sales Representative positions. In May, we aim to onboard 3 new teammates. If you know anyone who’d love to join the Recart journey, please send them our way: career@recart.com. We need a simple, clear page so everyone can align with the mission. This will help our teammates understand the reason behind product decisions and it will help them make better decisions on a day-to-day basis. We’ll ship as many useful features as we can. Currently, we’re working on a game-changer feature for building conversations between merchants and customers. This is something we’ve been working on since January. It turned out it isn’t easy to find a great office for 50 people located in downtown, Budapest. Luckily, we could seal a great deal with one of the best co-working spaces in the city, Mosaik. We can’t wait to move into the new space. We are running many large projects simultaneously: fundraising, new product management processes, vision & mission, US presence, partnerships, sales, marketing, content, recruitment. Since most of them are essential, I’ll work super hard to make sure we can cross some things by the end of May. While things are getting harder every single month, I think we all enjoy this journey even more. The goal is tremendous: we want to become the best conversational marketing tool for ecommerce. It might look like that we already came so far, but don’t let our traction blind you. Conversational apps will dominate communications in the next 5 years, but the marketing tools haven’t started evolving yet. 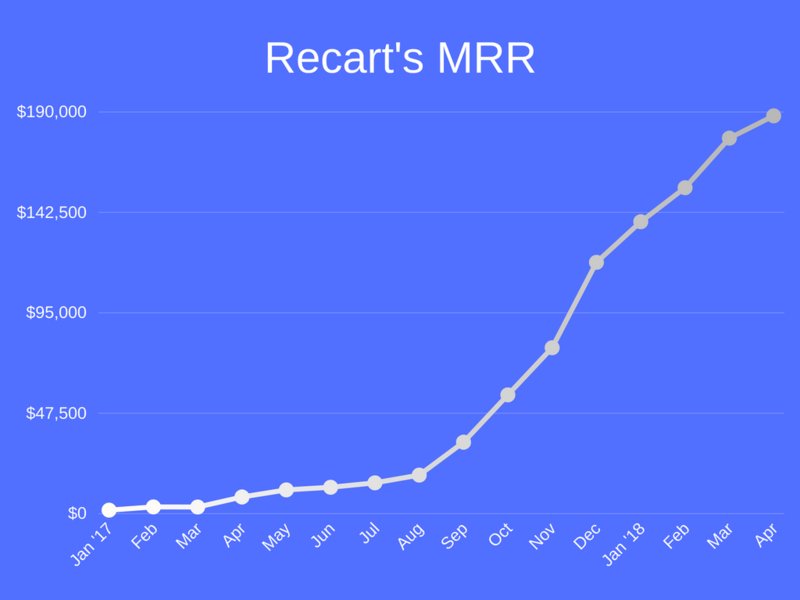 I strongly believe that Recart is on the right path to become the best conversational experience for ecommerce, but we can’t forget that it’s still very early in this space, it’s still Day 1. We’re working on serious improvements to our team and our product. I can’t wait to share our progress with you in June. Stay tuned!